Of all the famous and remarkable edifices built by the Muslims during their reign in the Indian subcontinent, the Charminar in the city of Hyderabad is one of the most important foundations which was built during those bygone times. Indeed as a foreigner, a visit to India probably remains incomplete until one visits Hyderabad to see this grand structure along with other attractions in the historical city of Hyderabad. The local people of Hyderabad speak Telegu and Urdu. Hindi and English are also widely spoken as the city is famous for its vast concentration of blue-chip companies. There are few stories associated with the history of the Charminar. According to historical studies, Muhammad Quli Qutb Shah (Founder of Hyderabad) of Qutb Shahi dynasty built this structure to offer prayer to Allah for the eradication of the plague that ravaged the city during his reign in 1591 CE. Another common myth that goes with the construction of Charminar is that Sultan Qutb Shah built this structure as a dedication to his wife, Bhagyamathi. 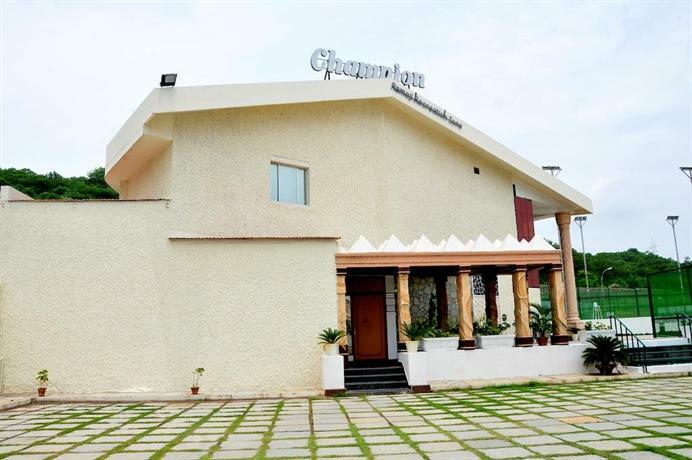 Nevertheless, the latter story is quite popular among the local people of Hyderabad in contrast to the former one. The word ‘Charminar’ is derived from two Urdu words ‘Char’ which means four and ‘Minar’ which means tower or minaret. Situated in the east bank of the Musi River, the imposing structure of Charminar is 184 feet in height and 98 feet in width having four minarets at each corner of the building. Each minaret is 184 feet in length and at the top of each minaret is a huge dome with its base designed in the form of a petal. Each of the minarets have 149 steps to reach to the top floor. Moreover, each of the minarets have four storeys for people to stand on and have a look around the city. At the top of the building there are 45 covered sections where one can offer their prayers along with a large open section to enable accommodation of more people during prayer times. Lying to the west of the Charminar’s roof is a mosque which is considered the oldest mosque in Hyderabad. 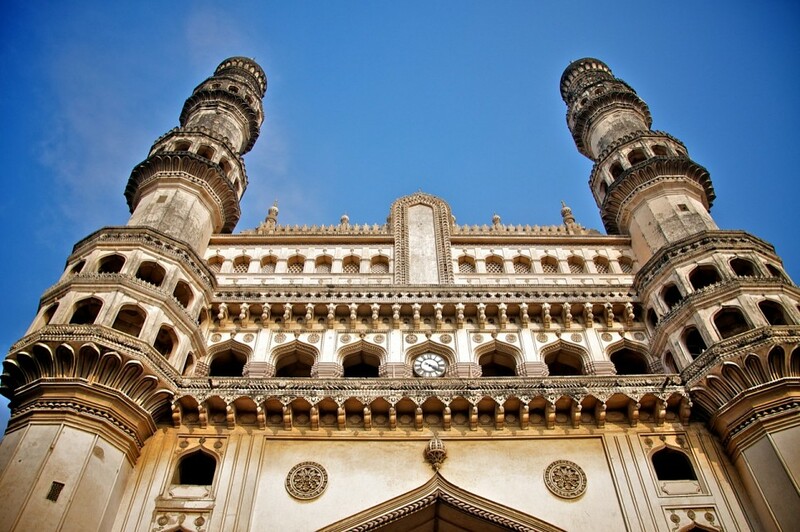 The first floor of the Charminar building is also marked by balconies which offer a grand view of Hyderabad. 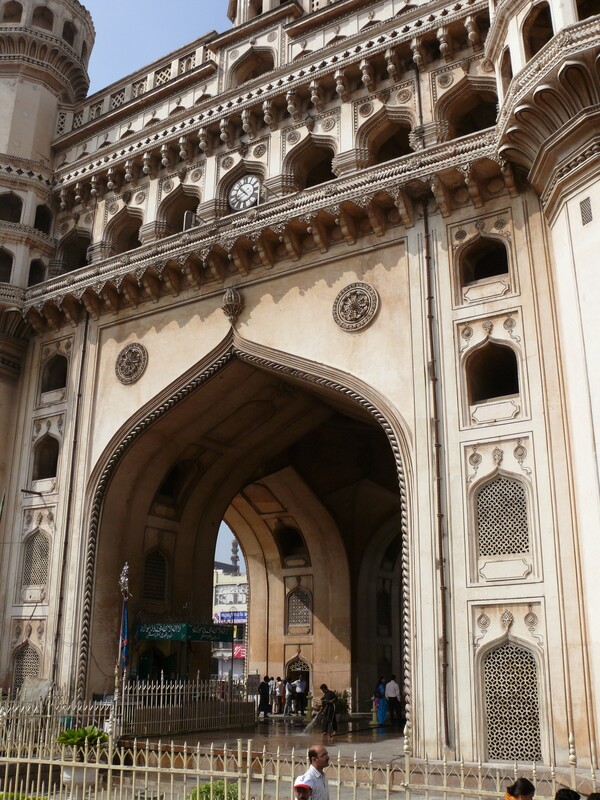 The four palatial arches of Charminar have four cardinal directions these arches once led to the four royal routes, towards four directions from the Hyderabad city. 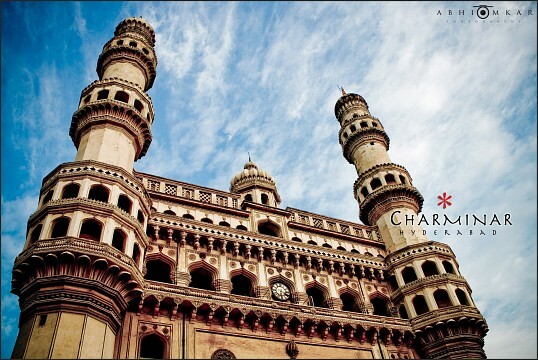 Charminar is made of limestone, mortar and granite. Some scholars also opined that the structure was made with pulverized marble. A story often goes that underneath the Charminar there is an 7 miles long underground tunnel which reaches the Golkonda fort. The tunnel was designed to build an escape route for Quli Qutb Shah in case of any possible siege of this town by the enemy. However, the legend of this tunnel still remains a mystery as the entrance of the passage has not been found so far. Charminar was designed based on the influence of Indo-Islamic architecture. The design was also influenced by the Persian architecture. The Indo-Islamic architecture does not follow any definitive pattern, but they share some common characteristics that were followed during the design of the edifice. Since there is no definitive point in the Indo-Islamic form, most of the buildings made during the Muslim rule are unique in their own way, much like the majestic Charminar of what we see today. If you reach the top of a minaret, you will get a glimpse of the Hyderabad and Secunderabad city to a vast extent. 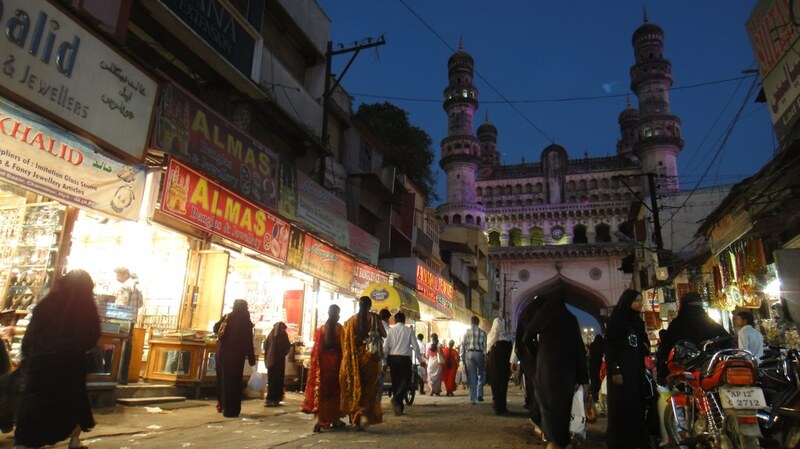 Moreover, the busy area surrounding Charminar which also bears the same name are dotted with numerous stalls where one can eat and buy souvenirs. The two major markets in this area are Laad Bazaar and Pathar Gatti which are traditionally famous for jewelries, bangles and pearls. Facing the Charminar is the oldest mosque in Hyderabad, built during the time of Qutb Shah and is known as Mecca Masjid. This majestic mosque was said to have been built from the bricks whose soil was procured from Mecca (the holy land of Islam). Except Fridays from 1 PM – 2 PM, Charminar is opened for public from 9 AM – 5 PM every day. As a foreigner you need to pay INR 100 to explore Charminar. To film using a video camera you need to pay another INR 25. Charminar is synonymous to Hyderabad. It is one of the most common locations and the local people are aware of its presence. 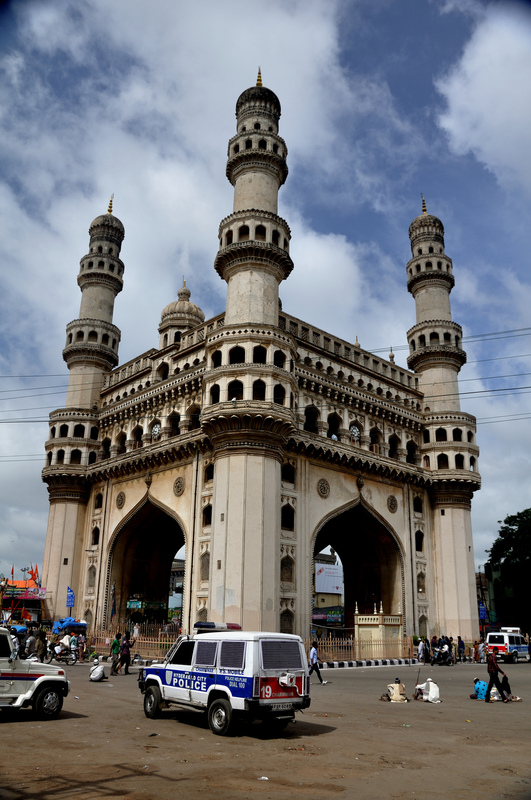 To visit the Charminar, you can reach the site by local bus, auto-rickshaw or taxi. You can also hire a private car from your hotel to tour across the city. 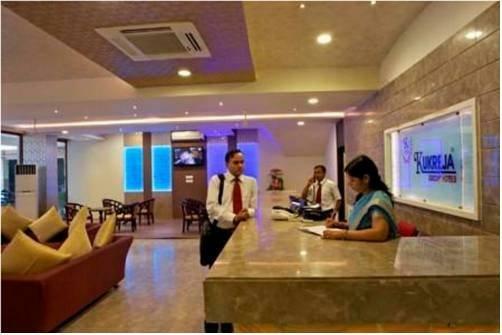 Being an IT hotspot location in India, Hyderabad is very well connected, internationally and nationally, through air. Hyderabad is also well-networked with other places of India via train. Hyderabad and Secunderabad are the twin cities of Telangana state and they are separated by Hussain Shah Lake. Hyderabad is now the capital of Andhra Pradesh and the city is a mix of modern urbanization and the rich history of its past. 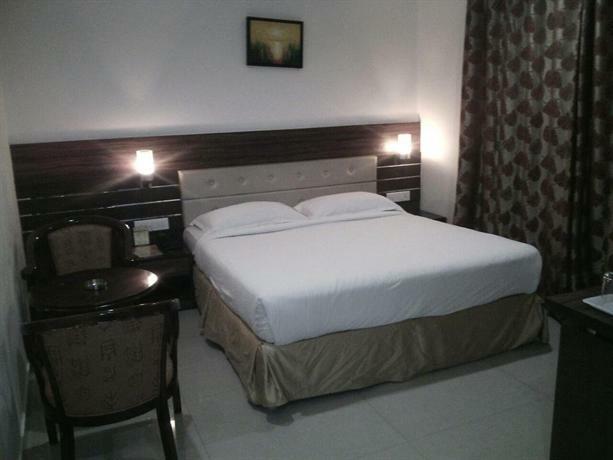 There are a lot of accommodation available in Hyderabad. 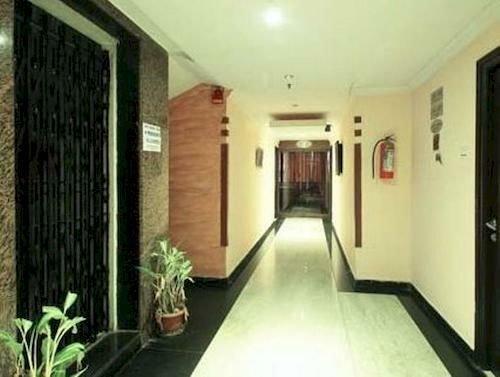 Some recommended budget and mid-range hotels in Hyderabad are Sitara Paradise, Minerva, Parklane, Dwaraka Heritage, Haridwar, Ashoka, Aahwaanam, Classic Lodge & Boarding, The Central Court, Best Western Amrutha Castle, Anmol International, Athithi Inn, Asrani International, Falcons Nest Imperia Suites, Hotel Mandakini Jaya International, Grand Solitaire and others. 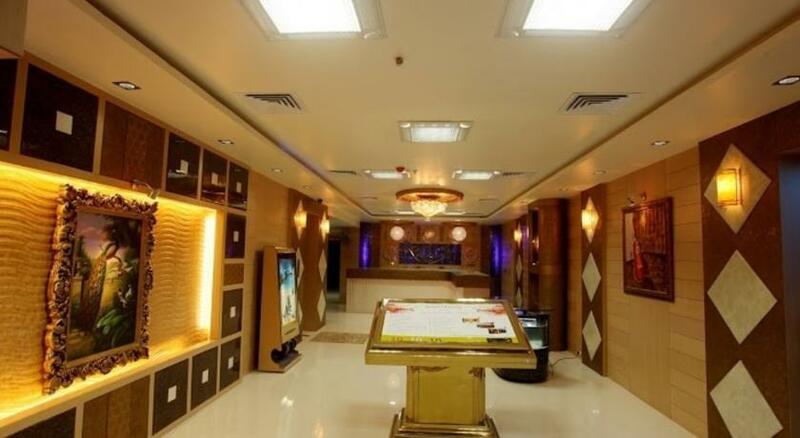 If there is one location in India famous for the Mughal and Nizam cuisine, it is none other than Hyderabad. Some of the famous cuisines that you should try are Hyderabadi dum biryani, Double Ka Meetha, Hyderabadi Haleem, Kachchi gosht ki biriyani, Gosht, Falooda and Irani chai. 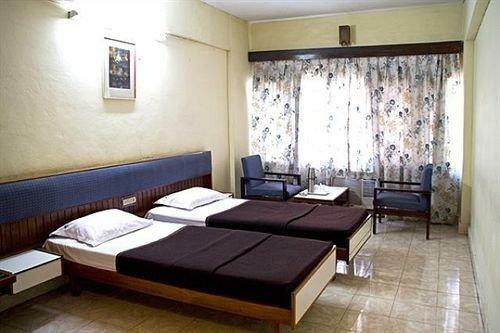 The best time to visit Hyderabad is from October till the end of March. The area around Charminar is notorious for its traffic jam. So the best time to visit this monument is in the morning, around 9 AM as the crowd remains small during these hours of the day, which increases with the course of time.